1963 ford falcon 170 6 cyl. 1 barrel carb. Problem a connecting rod from the accelerator pump fell off on the road. 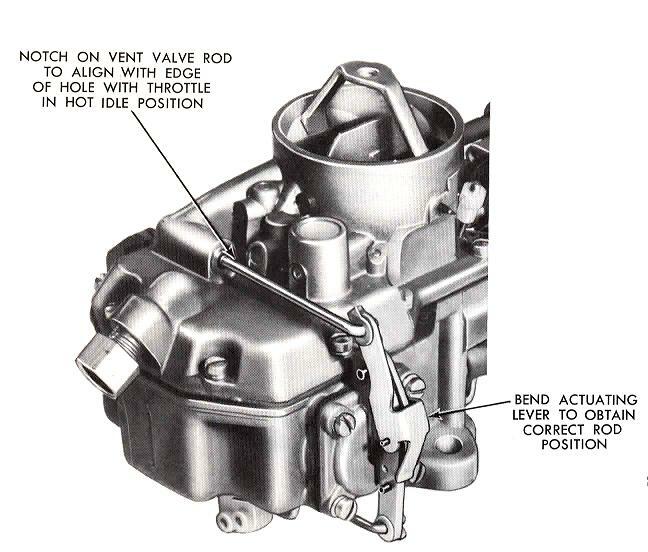 Rod is on top at the front of the carb. The pump is still working. 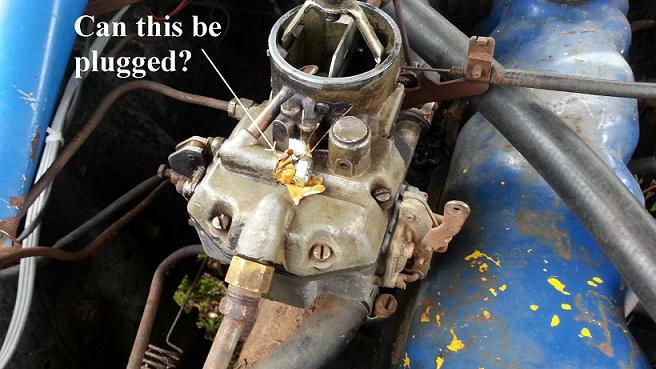 I was able to plug the hole where the rod was housed with a spring on the end inside the carb. with the temp roadside plug I was able to secure the leak and get the old girl running. Drove home with no more leaks. I tried to send a picture but was nit able to send it with this. Try using a photo hosting site like Photobucket. They will supply a link that will make the picture show up here. Lower left if that stays shows accel pump - four screws and the rods from that view>>>>>>>>>>> Which or what is missing? Seems to show the rod to accelerator pump. IDK what the heck happened that it leaked but in looking for whole carbs just crapped myself! Yikes! ~ $500ish on Ebay. NA at many or send in a whole one get that one back for like $350! FYI - kits don't come with rods that I ever know of. Without I don't know exactly how to make one without one to copy? Hope you are good at searching as I just found this to be expensive at a minimum so hope there's some old junkyard with stock you can find a whole core for parts. Fits lots of Ford 1 barrel carbs/engine and cars even newer a few years. That part on top has nothing to do with the accelerator pump. That is a passage for the vent and should have a lead plug closing it off. At this point I would suggest a new carb. Looks like there is supposed to be a rod that connects to maybe a plunger that goes to the accelerator pump. I've never seen one set up like that but that rod must open the vent when the pump is applied. This may be California emissions.